Two long-time friends from Wearside have good reason to celebrate after winning the UK Lotto of a whopping £15 million that was held on Saturday 18th February. Paula Barraclough and Lorraine Smith are known as Polly and Lolly to each other – they met seventeen years ago at a job interview. Who would have thought what fate had in store for them in future? 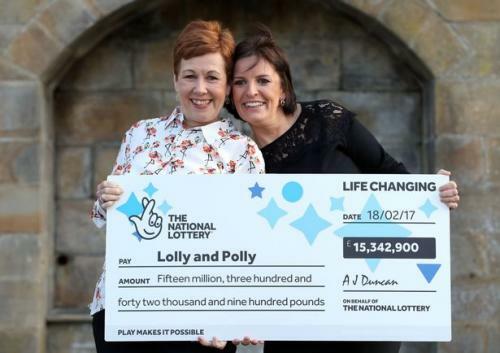 Polly, 45 and Lolly, 54 tried their luck together and struck it lucky playing the lottery numbers, 11, 13, 21, 37, 49 and 59. 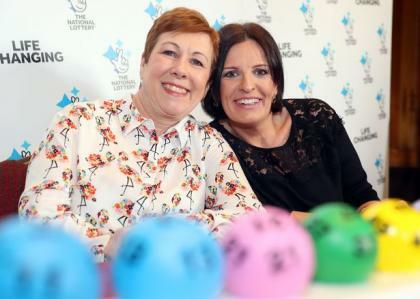 The best friends are still coming to terms with their lottery win, having become millionaires. The two pals have said that they will share the cash prize, each taking around £7.6 million and do not intend to give up their full-time jobs just yet. Some of the things that top Lorraine’s list is a new frying pan since she had just thrown away the old one on the same day of the lotto draw. Lolly intends to buy a new car for her son Lewis, 23 and install new windows for her house. Paula intends buy the house of her dreams and move out of her parent’s home. Polly’s life-changing win gives her the freedom to build up her bucket list to live the life she had always wanted.